Numerical methods for trajectory optimization have become increasingly popular for analyzing the motion of bipedal spring-mass walkers, whose complex nonlinear dynamics make analytical solutions often infeasible. When I began looking into trajectory optimization, the number of different methods often obscured some of the basic ideas in the field. 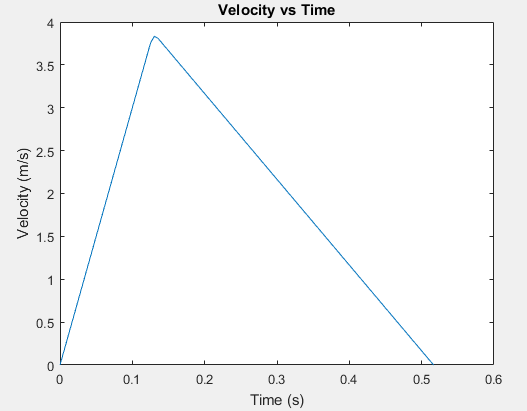 This tutorial is meant to provide a simple introduction to trajectory optimization with some example code and references for further reading. The core of trajectory optimization is constrained function optimization. 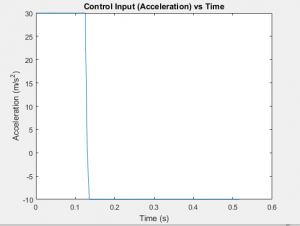 In this tutorial, I use Matlab’s fmincon—alternatives include SNOPT and IPOPT. In simple terms, fmincon finds the set of parameters that minimize a certain objective function, subject to linear or nonlinear constraints. These constraints can be formulated in four different ways, as documented at the above link: linear equality, linear inequality, nonlinear equality, and nonlinear inequality. Let’s illustrate a possible application of this with a short example (taken from Minoj Srinivasan’s lecture slides). Say there’s a target at the coordinates [5, 10]. We want to shoot a cannon ball at the target from position [0, 0], minimizing the amount of initial energy required (proportional to ). The optimizer controls three parameters: , , and the flight time. The only constraint is that after flying for the designated time with the given initial conditions the cannon ball must end up close to the target (how close is a parameter to the optimizer). 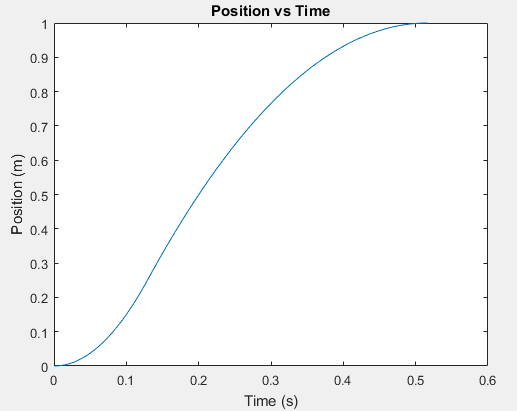 We lower bound the simulation time at zero and give it an initial guess for the appropriate parameters. 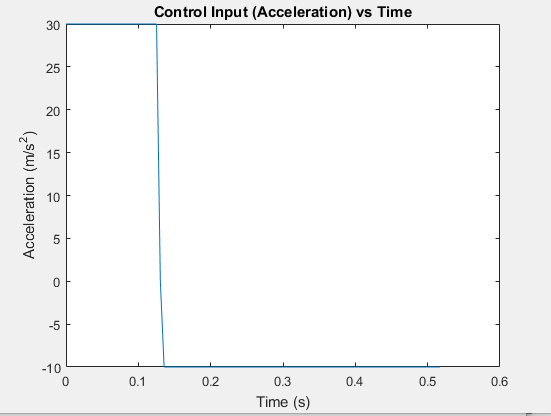 In the previous example, the optimizer could only adjust the initial conditions of the cannon ball and the flight time. 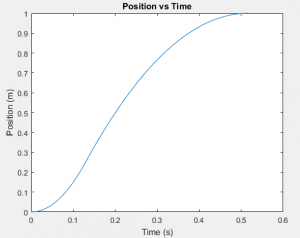 What if we want to find an optimal trajectory with a control input that varies with time? The trick here is to discretize the control input into n segments and include each segment as a variable in the parameter vector. Let’s consider an example of this strategy applied to the canonical double-integrator (state is position and velocity along line, control input is acceleration). The control input is the second derivative of the position, and the constraints specify that the final position should be one and the final velocity should be zero. Our parameter vector consists of the simulation time followed by one hundred time-discretized accelerations. The optimizer is instructed to find the minimum time solution. % must be equal to zero. As we can see from the graphs, the optimizer logically found bang-bang control to be optimal. Additionally, note that the fraction of time spent in either max-acceleration or min-acceleration is corresponds to the ratio of the max/min bounds. Intuitively, this provides the fastest trajectory while still satisfying the zero-end-velocity constraint. The trajectory optimization method detailed above is known as “single shooting.” This means that we simulate the whole trajectory and try to drive the deviation of the endpoint to zero. Multiple shooting is slightly more sophisticated—instead of simulating the whole trajectory at once, the trajectory is broken apart into multiple subintervals. For each subinterval, the starting position is added as a parameter and a constraint is added suchthat the deviation between the end of one subinterval and the beginning of another must end up being zero. This approach enables the optimizer to solve much more complex problems than with single shooting. Hi! Thanks for a great tutorial on how to solve the bang bang control problem! I was wondering if you could tell me how to set initial conditions for the position and velocity? My problem is to find the optimal trajectory from a starting point and velocity of a particle on a line where the end-point is 0. To set the end point to zero, simply change the “pos-1” in line 16 of the double_integrator_constraints to just “pos”. 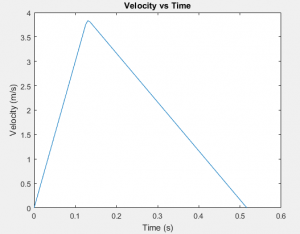 where VEL0 is the initial velocity and POS0 is the initial position. Also, if you don’t want to constrain the end velocity you can just remove the “vels(end)” constraint from double_integrator_constraints. Could i set the initial velocity as a constant to only looking for the perfect angle ? I would really thankfull if you could help me! That is certainly possible. There’s a couple of ways that you can formulate this but the simplest would be to add a constraint that the norm of the velocity vector is equal to your desired constant value. And you would append that to the ceq vector. I can’t test this since I don’t have matlab at the moment but that should get you started.